Maybe the notion of turning the Buffalo Niagara region into a hub for solar energy wasn’t such an out-of-the-blue idea after all. While Gov. Andrew M. Cuomo is making a big bet on the solar industry through the state’s $750 million investment to build North America’s biggest solar panel factory for SolarCity in South Buffalo, it always seemed like the whole plan was a bit of a geographic mismatch, like making Miami the nation’s center for winter coat manufacturing. 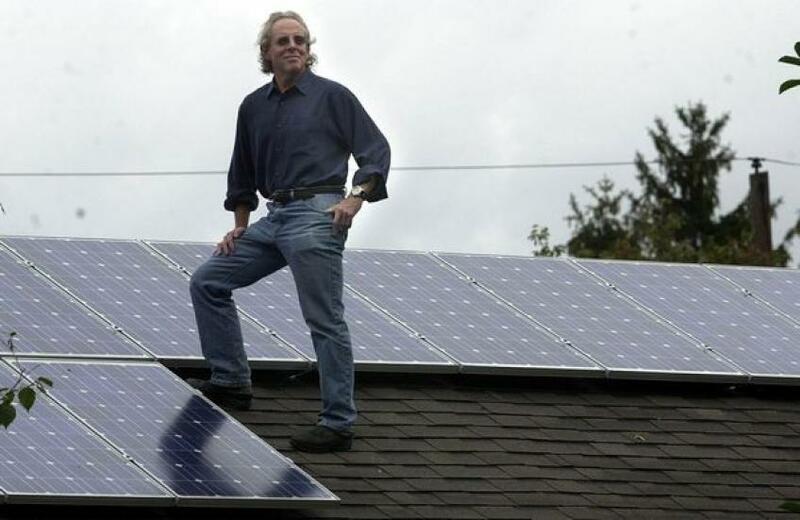 But it turns out that maybe Buffalo and the solar industry have more going for it than it first appeared. The National Renewable Energy Laboratory recently took a detailed look at all of the rooftops in 128 U.S. cities in an attempt to figure out which ones have the most suitable building stock for solar energy. It turned out that the Buffalo Niagara region has a lot of potential when it comes to solar energy. So much potential, in fact, that it ranked fourth among U.S. cities with the highest potential to meet its electricity demand with rooftop solar systems. That was better than sunny cities, like Los Angeles, Tampa and even San Francisco. In all, the study estimated that if solar arrays were installed on all of the suitable rooftops throughout the Buffalo Niagara region, those systems could generate enough electricity to meet about 68 percent of the region’s total electricity demand. Only three cities – Mission Viejo, Calif., at 88 percent, Concord, N.H., at 72 percent, and Sacramento, Calif., at 71 percent – had the potential to meet a greater portion of their total electricity needs by putting solar arrays on existing rooftops. Across the country, the study estimated that nearly 40 percent of the nation’s electricity could come from rooftop solar. Of course, that doesn’t mean that 68 percent of the electricity in Buffalo or 40 percent of the nation’s power will come from solar. The study, conducted over a three-year period, was intended to be a detailed look at how suitable the existing building stock is for solar energy and how much electricity it potentially could produce if every single rooftop had an array on it. “This report only estimates the potential from existing, suitable rooftops,” said Robert Margolis, a senior energy analyst for the energy laboratory and a co-author of the report. So why does the Buffalo Niagara region have so much potential with solar energy? Some of it has to do with the region’s building stock, with more than 80 percent of the area’s small buildings deemed to be suitable for solar. If every building had rooftop solar, the researchers estimated that they could generate 1.2 gigawatts of electricity. And the potential is even greater, since the study didn’t consider power that could be produced from ground-mounted arrays, Margolis said. The point of the study isn’t so much to predict how much electricity an area will generate from solar in the future as it is to help utilities, communities and solar researchers come up with better development and siting plans.